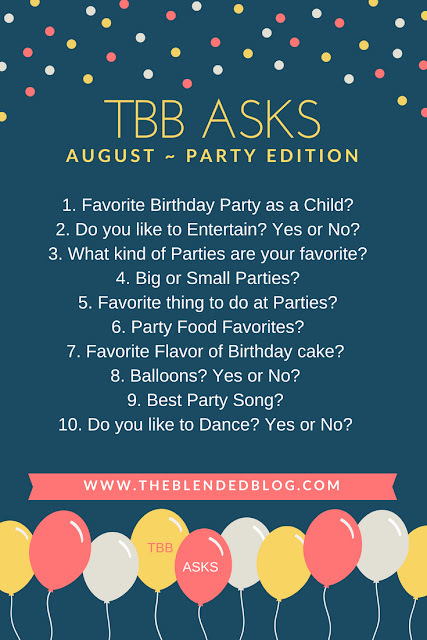 The Blended Blog Asks, August - Party edition. 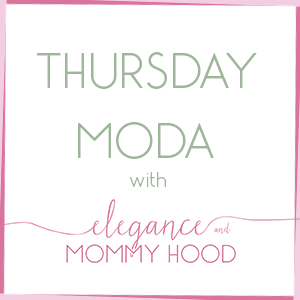 The first Monday of each month the lovely bloggers of The Blended Blog have this fun little lifestyle questionnaire that they do a linkup for. It is the first Monday of August and this month, the prompts are all connected to birthdays and parties. 1. I do not remember a lot of birthdays but I do remember my 10th and 15th. Every 5-year birthday is pretty big in Albania. For my 10th birthday I invited my classmates and teachers home for a little party - a common thing to do then (80s and 90s) as a child in Albania. The 15th birthday is a pretty big deal too and I remember my mom going all out cleaning and decorating the house and we invited a professional photographer for some family photos, too. My mom always made us cake too and we had our family come over for our birthdays as kids. 3. Parties that involve the outdoor and summertime parties. Something yummy and hot off the grille, watermelon and cocktails and I am all in. Even better if there is a pool or a lake involved. 4. I think I prefer smaller parties better. Anything over 30 people (though 30 is a pretty big size) is a little much. 6. Burgers, hot dogs and vegetables from the grille. A good cold Corona, some fun cocktail like a Frose (Frozen Rose) and there has to be some Summer fruits like berries, cherries, cantaloupe and watermelon of course. 7. Not chocolate lol. I love chocolate as candy or truffles but not huge on chocolate cake. I prefer a marble cake or better yet a vanilla cake with layers of fresh strawberries, or raspberries, or both. 8. Yes, of course balloons, especially if it is a birthday party. And for kids - always balloons. My daughter loves balloons. 9. This is a hard one. There are so many great party songs. It would be a mixture of Albanian and American music for me. A few songs that for sure have the dance vibe in them. Anything fun and upbeat. Pop songs, disco songs. 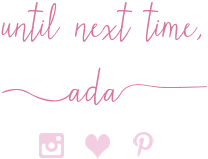 Some great old-school songs and some love songs, too. 10. O my gosh YES! I love, love, love to dance. And I think I am pretty good at it. At least that's what I tell myself, lol.